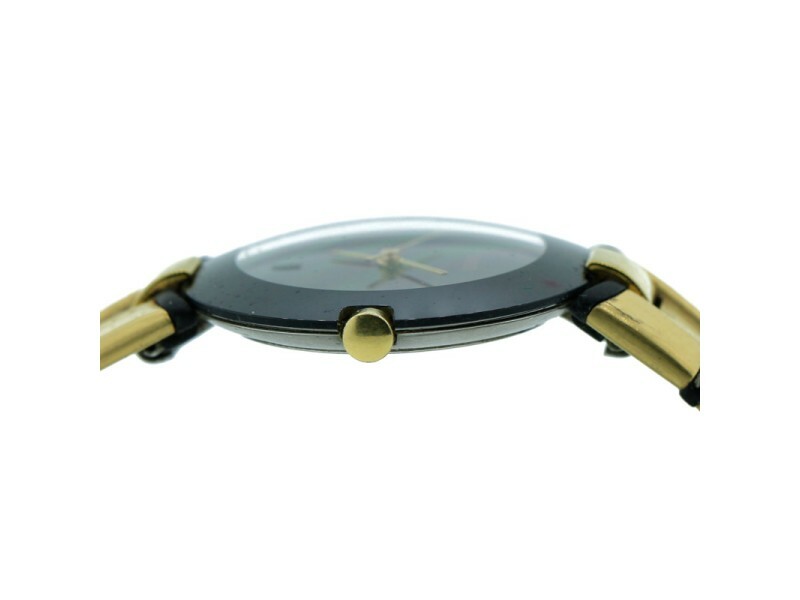 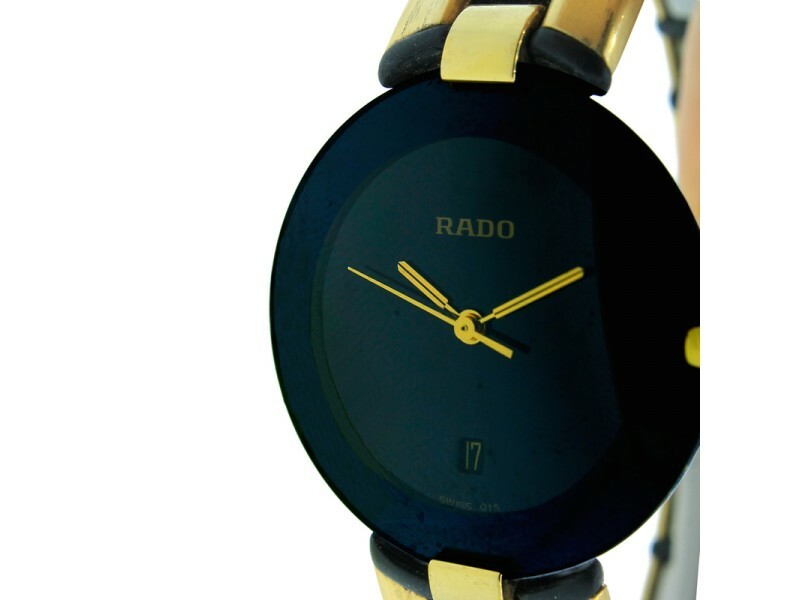 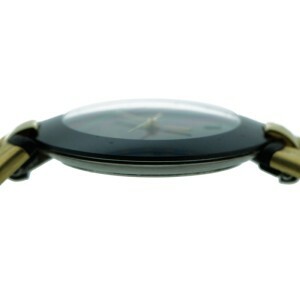 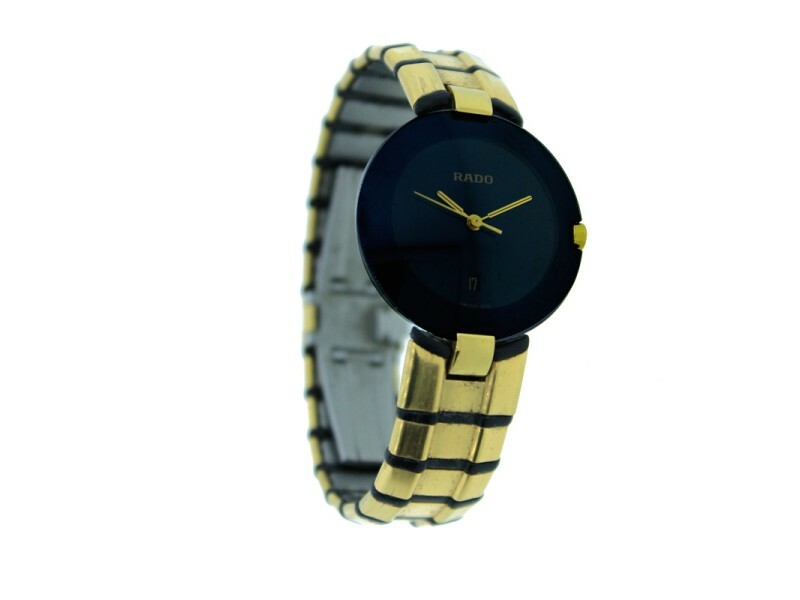 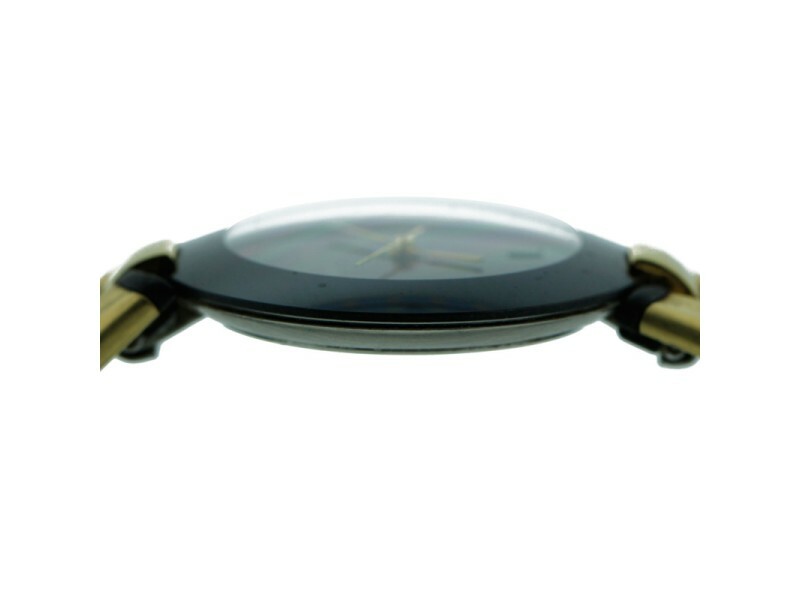 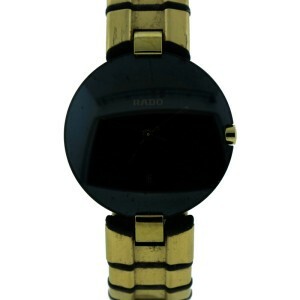 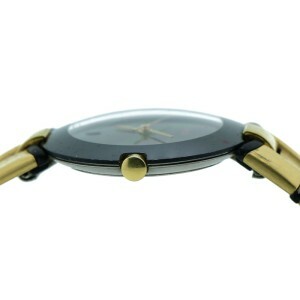 This Rado Coupole watch features stainless steel gold and black plated. 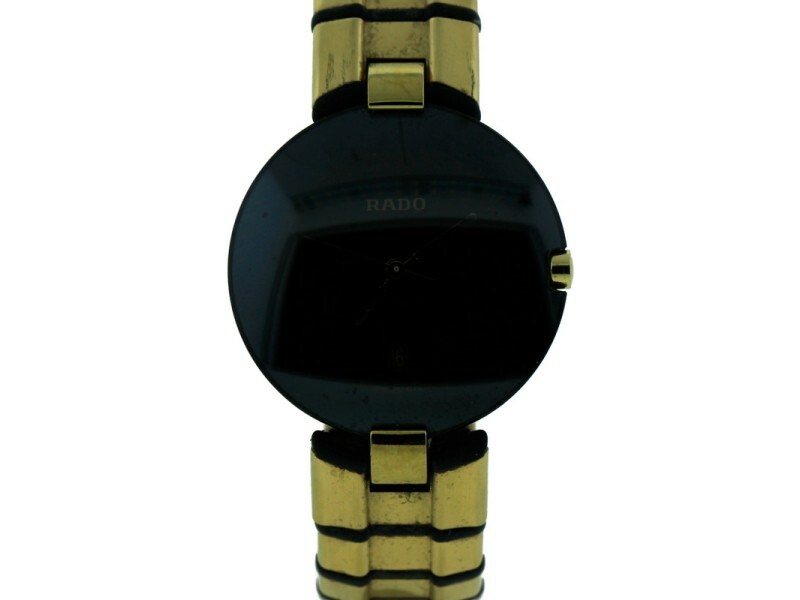 Rubber bracelet and deployable buckle clasp with rado lock. 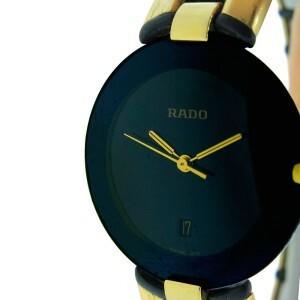 Dial color is black and gold hands. 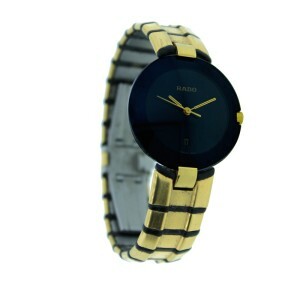 Date is display at 6 O' clock.